Being grateful for how God made me. Last week I went to Las Vegas to visit some old friends. Since the year that we have been apart, there were many changes in all of our lives. New marriages, new children, new blessings and new challenges. The best part about getting back together is that we all still care about one another and stand by each other, through all of our joyful times and difficulties. I listened to a pod cast last night, from Jonathan Doyle about “the risks of comparison.” I truly loved a conclusion that he drew about our attitudes when we compare ourselves to others, and beat ourselves up about our perceived shortcomings. The truth is that each of us is unique, and just the way we are meant to be as be were created by God. When we beat ourselves up by comparing and wishing we were more like someone else, it’s like telling God that He didn’t get it right. Of course there are things we can do to improve ourselves, and we should always be striving to be just a little better, but that improvement can only come from a genuine respect for the gifts God has given to each of us. The other danger of comparing is the danger of judging another. Each of us are different and have different gifts and different struggles. When I judge another person because they have a weakness that I have overcome, I’m not being very Christlike, and I’m not leaving any room for weaknesses that I am still working on. I think when people judge another person harshly, they are really feeling their own inadequacies and are trying to make themselves feel better in pointing out that someone else is not perfect either. One of my friends asked me if I thought that she was a bad mother for letting her child stay up late. This could have been a problem of comparisons. You see my kids have a 9 pm bedtime, even in the summer, even on the weekend. If you asked me (or if they ask me) I’d say it is because I believe that it is better for a person to have the same bedtime every night, for their growth and development and it will be easier to get up early when school starts. But there is a much bigger (and more personal) reason why I send them to bed at 9 pm every night. I need that time alone to unwind before I go to sleep. I’m not a night person, and I’m an introvert, so quiet time all by myself in the evening before I go to bed is like heaven. It’s my reward for any hard work I did that day. Does that mean that I think all parents should do what I do? Absolutely NOT. Seeing this mom spend time with her little girl late at night, while the baby was sleeping was priceless. It works for her. It was beautiful to see her embrace who she is and do what feels is right for her. If I chose to compare myself to her, I could either feel bad because I don’t have the energy to spend time with my kids late at night, so there must be something wrong with me. Or I could judge her, thinking that my way of doing things is the “right” way, and she isn’t taking good care of her child. Neither of these ways of thinking is true, as most comparisons and judgments of people and ourselves are laced with false concepts. In my life, I’ve had to remind myself to get over comparing and judging. No one on this earth is perfect. As for me and my family, what is important is that we keep trying. As for other people, my job is to be loving and understanding, and possibly help them out when they have a need. When I read this scripture this morning. I was reminded of how important it is to recognize the blessings and gifts that we are each given. I can and should be truly grateful for mercies that are freely given by God, each time I make a mistake. If I look at someone and see how wonderful they are, I can choose to admire them, and be grateful for their presence in my life, instead of comparing myself to them, and looking for all the ways that I don’t measure up. I’m not supposed to measure up to other people. I’m supposed to make the most out of the life that I have been given. I’m still working on these concepts, and I hope I’m getting better at living a grateful life. I’m learning to stop and ask myself “What does God want for my life, and what do I want for my life?” as I try to ignore the impulse to try to be like other people. Today I’m choosing to be the person that God intends for me to be. After participating in the colloquium on marriage and family at the Vatican in Rome, Italy, for three days, and hearing many religious leaders from around the world, it was apparent to L. Tom Perry that good marriages and strong families are still important in our society, and highly desirable to most people. When it comes to love of spouse and hopes, worries and dreams for children, we are all the same. As many of you know I was married in July of last year. I was single for 4 years, and there were a lot of things that I needed to learn in that time. The first I needed to learn was that I didn’t need a man to be okay with myself. I needed to recognize that I am strong and independent on my own. I didn’t need a man in order to care for my children, or to financially support me. Physically, I needed to know that I could do whatever needed to be done, by myself, so that I would not have to rely on a bad relationship, thinking I needed someone, anyone, in order to survive. When I married Scott, it was because of something else that I learned. Men and women don’t need each other to survive emotionally or physically, but they are happier and better off in a committed relationship that is formed by marriage. It is like completing the building of a house. Four walls and a roof may make the house, but the beauty inside takes just a little bit more. A strong marriage and happy family create a more complete life. Greater happiness is found, when working together for a greater cause. When you wake up each morning, and go to bed each night with the concerns of the happiness of someone special, beyond yourself, life becomes more meaningful. 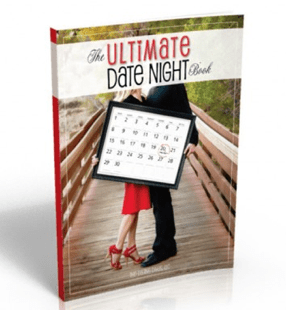 My friends at “The Dating Divas” have some fun ideas to keep your marriage strong. Go check them out. It’s Friday. That means we want to share with you a story of strength and courage. This story came from Whitney Clayton as shared in this talk. Last January, seven-year-old Sailor Gutzler and her family were flying from Florida to Illinois in a private airplane. Sailor’s father was at the controls. Just after nightfall, the aircraft developed mechanical problems and crashed in the pitch-dark hills of Kentucky, upside down in very rough terrain. Everyone but Sailor died in the accident. Her wrist was broken in the crash. She suffered cuts and scrapes and had lost her shoes. The temperature was 38 degrees Fahrenheit (or 3 degrees Celsius)—it was a cold, rainy Kentucky winter’s night—and Sailor was wearing only shorts, a T-shirt, and one sock. She cried out for her mother and father, but no one answered. Summoning every ounce of courage, she set off barefoot across the countryside in search of help, wading through creeks, crossing ditches, and braving blackberry briars. From the top of one small hill, Sailor spotted a light in the distance, about a mile away. Stumbling through the darkness and brush toward that light, she eventually arrived at the home of a kind man she had never met before who sprang to her care. Sailor was safe. She would soon be taken to a hospital and helped on her way to recovery. Sailor survived because she saw a light in the distance and fought her way to it—notwithstanding the wild countryside, the depth of the tragedy she faced, and the injuries she had sustained. It is hard to imagine how Sailor managed to do what she did that night. But what we do know is that she recognized in the light of that distant house a chance for rescue. There was hope. She took courage in the fact that no matter how bad things were, her rescue would be found in that light. After the crash, Sailor had a choice. She could have chosen to stay by the airplane in the dark, alone and afraid. But there was a long night ahead, and it was just going to get colder. She chose another way. Sailor climbed up a hill, and there she saw a light on the horizon. Gradually, as she made her way through the night toward the light, it grew brighter. Still, there must have been times when she could not see it. Perhaps it went out of view when she was in a ravine or behind trees or bushes, but she pressed on. Whenever she could see the light, Sailor had evidence that she was on the right path. She did not yet know precisely what that light was, but she kept walking toward it based on what she knew, trusting and hoping that she would see it again if she kept moving in the right direction. By so doing, she may have saved her life. I feel for this little girl, but I’m also very impressed with her strength. It would have surely been easier to curl up by her deceased parents, waiting to see if someone would find her. She could have given in to despair. But she chose to go find a way herself. We can relate this to our lives. When tragedy strikes our lives, and it does sometimes, will we choose to give in to despair, just accepting the darkness that comes with difficulty? Or will we look for the light, and fight to recover, for ourselves and the ones that love us. As I carefully read through this quote, it makes me really think. On the surface, I think I live in a way that I truly believe. But maybe there is more. Maybe there is more we all can do. If I choose not to look too carefully, life is pretty good. I love my family. I serve in my church. I’m nice to my neighbors, but maybe there is just a little bit more. But the truth is that none of us is perfect. Not one. Only Jesus Christ is the perfect example. So is it okay that we are not perfect? YES. Should we just be satisfied that this is just how it is? NO…. We all should have the hope of being perfect one day, but in recognizing that today is not that day, we have a choice. We can keep doing what we have always done, and not worry about it, or we can strive to be just a little better each day, in at least one area. Today I’m choosing to look at the words of Charles Chaput. I want to figure out how I can be more true to my beliefs. The beliefs of my religion and my personal beliefs. How can I be more honest? How can I be more loving? Can I work harder at the things that are important? Can I be more patient with people who are trying? Can I give a little more? Yes, but maybe not all at once. I think if I start each day with prayer, asking for help in finding what is important to my growth, and how I can help others in my day, it may not be as hard as it could be. I want to try a little harder each day, to live more in line with truth. I know some days I will fall, and I’ll have to repent and start again the next day. But I think that is one of the beautiful things about repentance. Recognizing where I have fallen short and allowing Christ to take that mistake from me, so I can try again to be what I believe He wants me to be. The most important step in this process is learning what I believe, what my religion teaches me, and recognizing the guiding’s of the Holy Spirit. A few months ago, we saw the movie “The Theory of Everything,” a story of Stephen Hawking’s life. Throughout most of the movie I kept thinking, “well, when does he die?” They told him he had 2 years to live, at the age of 21, when he was diagnosed with a version of ALS. The longer the movie went on, the more years passed and it became more apparent that although the illness took a huge toll on his body, eventually leaving him in a wheelchair, unable to care for himself, and not even being able to speak without the help of a computer, he was still alive. I didn’t realize going into the movie that Stephen Hawking is still alive today at 73 years of age. He has definitely faced more obstacles than most of us will ever have to face. There are multiple reports out there with theories of why he was able to beat the disease, where others have died so quickly. There are lots of theories on ALS disease and upper neurons and lower neurons and probabilities. Maybe it is just luck… But I don’t think so. I have my own theory. Stephen Hawking is regarded as one of the most brilliant theoretical physicist since Einstein. For 30 years he held the position of Lucasian Professor of Mathematics at the University of Cambridge, he has authored several books, holds over a dozen honorary degrees, and is still traveling extensively giving public lectures. My theory of his survival is his will to live, knowing that his brain would continue to function. The disease has affected almost all of his physical functioning, but it did not affect his brain. He valued his research and studies, and chose not to give up, when his body gave out. It seems that knowing he would maintain his brain functioning was enough for him, to have plenty of reasons to keep living each day to the fullest, not worrying about his imminent death. I believe that our human “will” is much stronger than science can measure. That’s not to say that God does not play a part in bringing his children back to Him in His proper timing. But our will to live and work and grow, also makes a big impact on our lives, and the quality of our lives. He made a choice not to let the difficulties of his particular life stop him from the things that he really wanted. He was married twice, has three children and three grandchildren. Since 2009 he has written children’s books with his daughter Lucy. He continued to do all that he could do, and wanted to do, without giving into despair, even though he requires full-time care for his physical body. I think the lesson that we can learn from his life is that we all have something we can contribute, no matter how hard life has been. Each and every person that has ever lived has trials. We each mourn. We struggle. We battle. Even though our trials are different from each other, we all have the commonality of having to decide if we will fight to improve our lives in spite of our adversities, or will we use the adversities as an excuse to stop working. We all have that choice. How will we proceed when life does not go as planned? Some people’s difficulties are much bigger than others, and that just means that they will have to work harder to overcome, but it doesn’t mean that they cannot overcome. It also means that when they have worked hard, and overcome more than others might have had to, they are also stronger, and have learned more about life. I’ve read the words of Jesus in the New Testament all my life, and learned more about them in Sunday School while growing up. But every once in a while you read something and it has so much more meaning, as it is looked at in a different way. In Matthew 17, Jesus was asked by a man to cure his son. He said that he’d asked the Savior’s disciples to do it, but they couldn’t. Jesus responded very concerned, saying that He wouldn’t be with them for long, and they didn’t have enough faith to heal themselves. Jesus then healed the boy, and his disciples asked him why they were not able to help this boy. Because of your unbelief: for verily I say unto you, If ye have faith as a grain of mustard seed, ye shall say unto this mountain, Remove hence to yonder place; and it shall remove; and nothing shall be impossible unto you. Looking at the full context of this comparison of a grain of mustard seed, I saw something new. This mustard seed is being compared to the disciple. Both are God’s creations, both have to decide if they will believe that God can make of them what He promises. The mustard seed is very tiny. It could easily look in a mirror and say “I’m just a tiny seed, I don’t really matter. I don’t amount to much on my own, so why even try to be anything more. I’m content to just be the seed that God made me.” This little seed, not believing he could be more, may not allow himself to be planted, to germinate, to reach and stretch and become something so much more. But with enough faith in God the little seed can grow to be a beautiful plant, that will produce more seeds and will continue on for generations, fulfilling the destiny that God gave to him. If God can take this tiny seed, with enough faith to allow itself to develop the way it was intended, and make it into this beautiful field, don’t we deserve to give God the chance to do something wonderful with us also? As a metaphor, the comparison of this mustard seed was meant to teach His disciples to have faith enough to be able to heal, to preach, to help one another after Jesus was resurrected and ascended to His Father. In our day He wants the same. God and Jesus Christ love each and every one of their children, but they cannot come down here to physically help all of us. That is why He gave us mothers, fathers, friends, teachers… Each of us has a mission in this life to help each other, all of God’s children, as we make our way through this life. And just as the mustard seed, we cannot afford to look in the mirror and think, “I’m just me, nothing special. I don’t have anything important to give to the world.” If we think that way, we are denying the divine destiny that God has planted inside each of us. You may look small in the beginning, but with faith that God will help you to become something more, you can then step out and start looking for ways to be all that He wants you to be. You have it all inside of you. You were meant to do good, to grow to a greater capacity than you can see from just looking in a mirror.